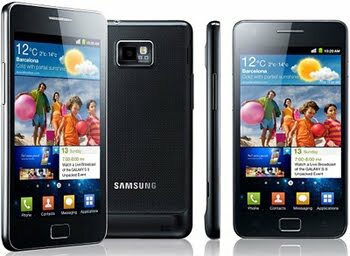 Samsung Galaxy S2 was introduced to the public the first time at Mobile World Congress 2011 event held some time ago. At that time, slick smartphone Samsung is not known when it will begin rolling into the market. Now, after a period of 'introduction' long enough, eventually the release date of Samsung Galaxy S II revealed already. Quoting a statement from the company operator KT Corp. as reported by Reuter, it was reported that Samsung will launch the Galaxy S2 at the end of this month in South Korea. Parties KT Corp., which also as the second largest operator in South Korea is further said that it will release the latest model smartphone is coming around 25 April 2011. Sure, Samsung's own party refused to disclose the details associated with the launch of the smartphone, also known as the successor of this Galaxy S.
Even so, implied Samsung said it will launch its Android-based smartphones in April as planned. So, we'll wait.